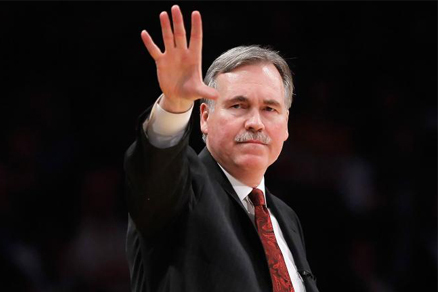 In a shocking move that has already sent ripples of outrage and confusion across the sports world, the Los Angeles Lakers have hired Mike D’Antoni as their next head coach, replacing the recently fired Mike Brown and winning the job over former Lakers head coach, Phil Jackson. Jackson was seen by many as the frontrunner for the position, and fans were even chanting his name during Friday night’s home win over the Golden State Warriors. According to ESPN’s Ramona Shelburne and Dave McManneman, Jackson believed the job was his if he wanted, and was told by the Lakers he had until Monday to decide, but was phoned by Lakers GM Mitch Kupchak late Sunday night and informed of the Lakers’ decision to go with D’Antoni. Lakers management felt that D’Antoni’s offense was better suited for this current roster than Jackson’s well-know triangle offense. D’Antoni, who most recently coached the New York Knicks, is perhaps most well-known for the fast-paced and entertaining offense he ran when he was head coach of the Phoenix Suns from 2003-2008. That Suns team also featured current Lakers point guard Steve Nash, who won back-to-back MVP awards in 2005 and 2006. 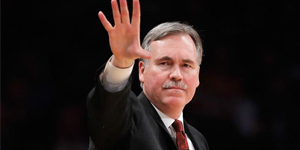 D’Antoni’s contract is a three-year deal worth $12 million with a club option in the fourth year.